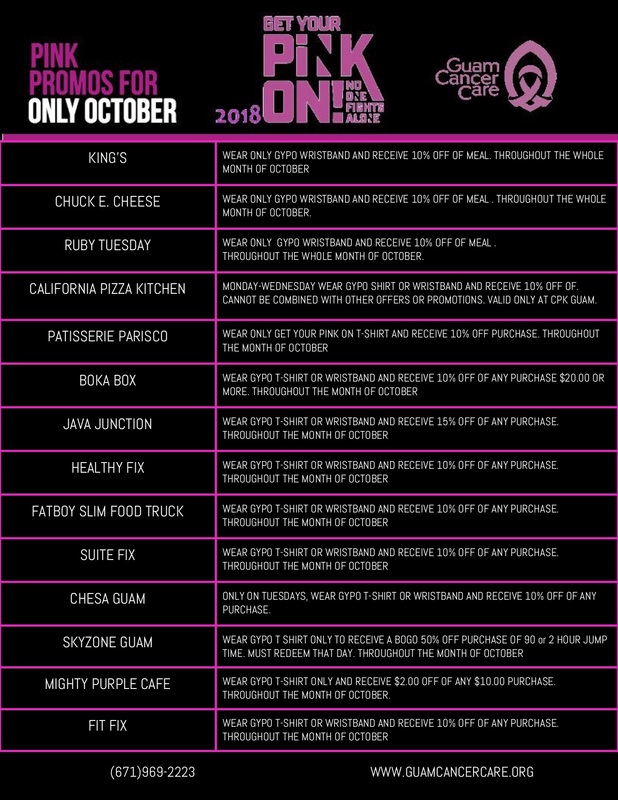 > Looking for GetFitGuam Classes? 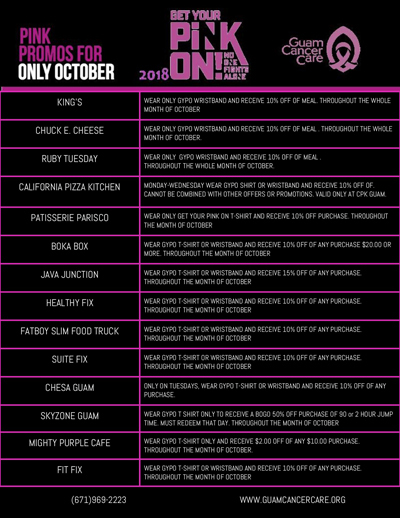 Check them here. 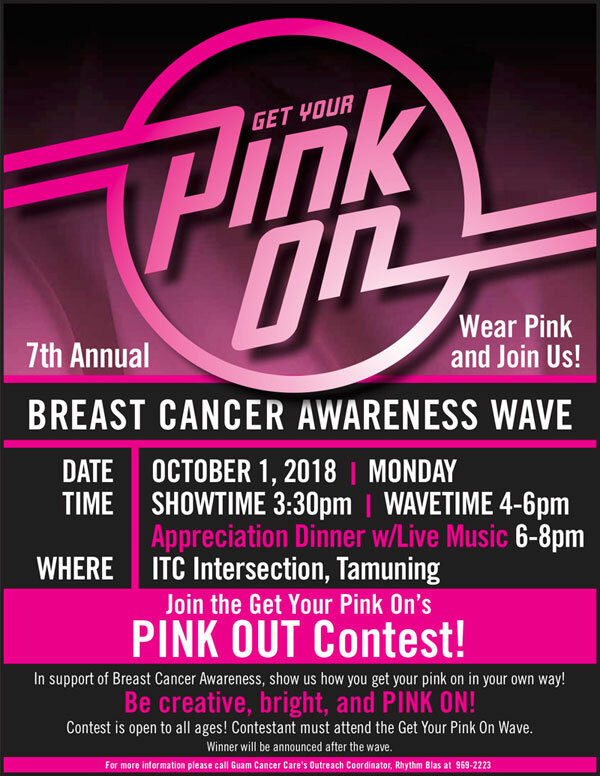 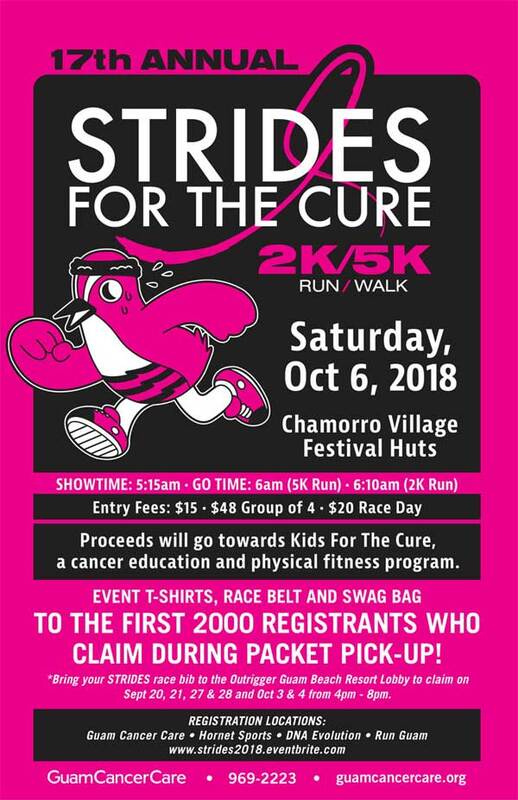 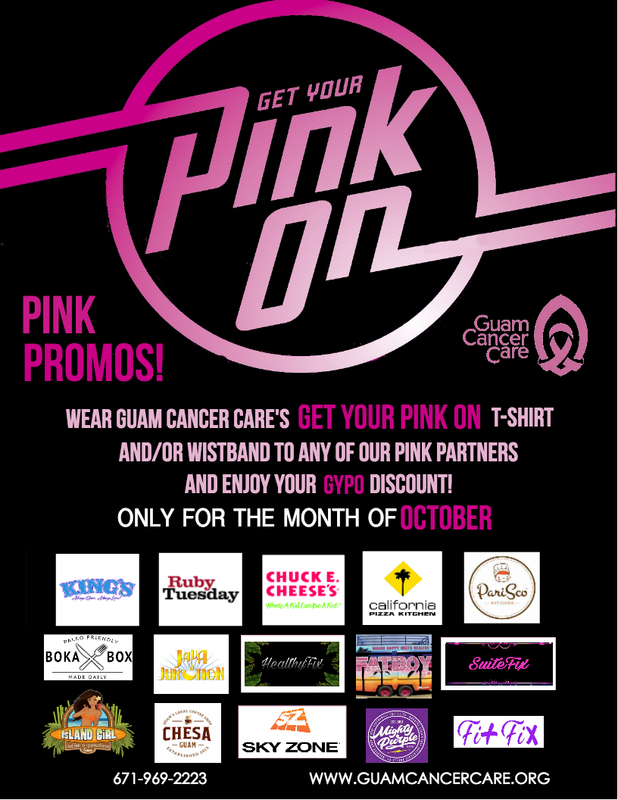 Join the fight with Guam Cancer Care by wearing Get Your PINK On T-shirt or wristband throughout the month of October! 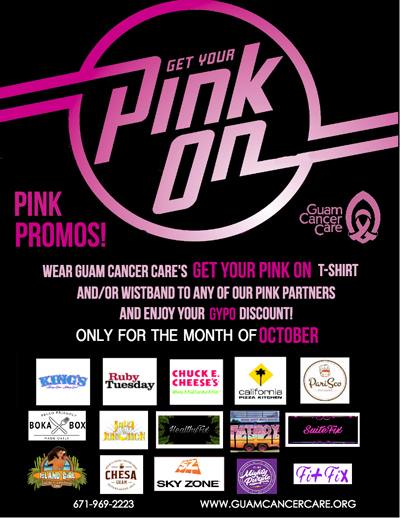 Enjoy a Get Your Pink On discount at one of our local partners throughout the month of October.